As regards the jurisprudence of the International Court of Justice, serious and relevant discussions have often been carried out, based on which scientific workers – scholars and practitioners, including some social and political actors face an important dilemma. This dilemma is expressed in a question – is this a legal or political practice, that is, is this a political or a legal matter, or it is both legal and political? It is a well known fact that the instrument of politics is extremely important, and also that politics brings with itself certain laws, or more precisely certain systems of legal norms, which may serve to us as an argument that verifies the basic constellation of the dilemma as to whether this matter is of a political character. Recognizing the independence of the judiciary institutions, which based on body of evidence (sufficient, valid, and reliable), conscientious, and responsible application of relevant laws, formally and practically delivers the decisions, free of political or any other pressures, it may be stated that this matter has primarily a legal character. The best illustration of a current social and political problem, which initiated a hard debate among various actors, as well as divisions within academic community and the jurisprudence is the International Court of Justice Judgment in the case Bosnia and Herzegovina versus Serbia and Montenegro, dated 26 February 2007, on the ground of violation of the Convention on prevention and punishment of the crime of genocide. Political subjects in Bosnia and Herzegovina, the region, and international community show similar character and attitudes in reference to the matter of the Revision of this Judgment. Having analyzed and studied the Judgment, we have detected that the positions – assessments, conclusions, and decision are not consistent, coherent, and they do not correspond to the relevant and reliable facts and findings, and consequently, the presented assessments and decisions are not only untruthful and incorrect, but rather contradictory and absurd. Failure to recognize the facts surrounding the social reality and presentation of ill‑founded valued judgments, not based on facts, contributed to the theoretical constructions, which cannot be concretized and specified, and which do not correspond to the facts surrounding the social reality, but rather they are in contravention of relevant facts and convincing and reliable pieces of evidence that confirm the existence of intention (mens rea) to destroy, as a whole or in part, Bosniacs, a national, ethnic, and religious group as such, and underlying acts of crime of genocide – actus reus (planned, organized, and systematic murders, ill-treatment, beating, rapes, torture, and other forms of crimes against humanity and international law) committed against members of a protected group (Bosniacs) in the Republic of Bosnia and Herzegovina – in all the occupied places, towns under siege, and UN Safe Areas. The Judgment is also in contravention with the confirmed and verified scientific findings obtained in the process of contemporary studies by the most prominent and recognized scientific authorities who specifically argue that the genocide is primarily crime of a state. All the crimes of genocide in the 20th century have been carried out with the prior planning, preparation, knowledge of, approval, organization and involvement of a state / states and its/their highest authorities, which is also the case of the Federal Republic of Yugoslavia (Serbia and Montenegro), which waged the aggressive war, at the end of the 20th century, against the Republic of Bosnia and Herzegovina, and in this process committed genocide against Bosniacs. Practical exoneration of Serbia from the genocide in the Republic of Bosnia and Herzegovina is a typical example of ill-founded, controversial, contradictory, and erroneous assessments and conclusion by the International Court of Justice, which suggests and serves as a proof that it is a political decision. Essentially, this political decision (Judgment), full of numerous forgeries, lies, and deceits, which cannot be corroborated by relevant documents, constitute the crime against international law per se, its system and logic, then crime against UN Charter and principles of international peace, justice, and security, and moreover the monstrous crime against dignity of genocide victims in general, particularly genocide in the Republic of Bosnia and Herzegovina at the end od the 20th century. Despite numerous relevant findings, which were at the disposal of the Court, which also speak to the contrary, the Court delivered a political decision, which rewarded Serbia for the genocide, and brutally hurt and punished the surviving genocide victims. This Judgment send the worst possible message to small nations, small states, powerless and the weak in the world, that the same thing or even worse can happen at any point in time, which only depends on the motive, interest, or objectives of the big, strong, and powerful states. This is most probably, among other things, the expression of situation in the area of freedoms and rights, development of the present democracy, civilization, and culture of the representatives of great powers, European and the world states, leading members in the UN, which, by way of this Judgment, speak about themselves and their attitude towards the crime of genocide. The International Court of Justice Judgment is also an obvious example of continued negative politics and political practice pursued by the international community, and the dominant, particularly influential part of the international community towards the Republic of Bosnia and Herzegovina and Bosniacs – genocide victims, which raises the most serious concern – the matter of survival of Bosniacs in Bosnia and Herzegovina. The available, usable, genuine, significant, authentic, and relevant documents contain information, data, and statements, which can clearly corroborate the international liability of Serbia and Montenegro in the process of planning, preparation, organization, involvement, and execution of the crime of genocide against Bosniacs in the Republic of Bosnia and Herzegovina at the end of the 20th century. Namely, the genocide against Bosniacs in the Republic of Bosnia and Herzegovina was carried out in continuity, with lesser or major intensity, regardless of the number of the killed individuals, in accordance with the great‑Serbian genocidal ideology, politics, and practice, following the model of fascism and Nazism. The most massive acts of genocide were committed in the regions with dozen municipalities, where Bosniacs were majority population, such as Drin river valley, Bosnian Posavina, Potkozarje, and along the Sava river valley, which regions were marked, prior to the genocide, as strategic priorities of the great-Serbian aggressor and its collaborators. Mass graves and concentration camps, among other things, illustrate significant indicators of the aggression and the enforcement of its fundamental purpose – biological and spiritual destruction of Bosniacs, that is the crime of genocide against that nation. International Court of Justice did not accept the Application for Revision of the 2007 Judgment in the case Bosnia and Herzegovina on the ground of violation of the Convention on prevention and punishment of the crime of genocide. The Court delivered this decision, or better to say notification dated 9 March 2017, urgently, administratively, without any understanding for the genocide victims, without any feeling for their pain and suffering, without any thoughtfulness and/or moral responsibility, based on letters (“different communication”) drafted by the members of the Bosnia and Herzegovina Presidency, that is the Court delivered this decision based on technical and procedural grounds. The Court, at least for the sake of genocide victims, had to consider the fact that the opposing views of the Bosnia and Herzegovina Presidency members could not result in accepting the Application for the Revision. One of the Presidency members, publicly and presumptuously protects the interests of another state (responsible for genocide), while serving nominally and formally at the highest executive authority in Bosnia and Herzegovina. The other member calculates politically and provides support to such politics, whereby this member by his behavior and formal support amnesties the criminals and crime committed against the people he, as he claims, represents. We do not know whether he, being the legal and legitimate representative of Croats, has the authority of that people – Croat victims to amnesty, on their behalf, the crimes committed against them. The third member of the Presidency, being aware of the fact that in such political relations, the Presidency will not be able to make a joint decision on the Revision, yet under the pressure of personal consciousness, accountability, and piety towards the genocide victims, moreover for humane and moral reasons, remained convinced that the filing of Application for Revision is justified. The Court essentially did not even consider the Application for Revision. Namely, as rightfully argued by Prof. Dr. Francis Boyle, the Court deprived the genocide victims of the Revision of this Judgment. According to Prof. Dr. David Scheffer, The Court “making an error, simply accepted the Serbian arguments and dismissed the genocide case on the grounds of technical details…”. It is obvious that this decision is made, just like the 2007 Judgment, for political reasons – in the interest and for the account of the state Serbia, and against genocide victims. There was much more care about the interests of the state Serbia – respondent, the state responsible for genocide, and no care for genocide victims. The International Court of Justice decision dated 9 March 2017, regardless of the foundation for consideration of the status of legal representative and/or his activity/inactivity and good will, the desires and verbal and/or genuine wishes of the legitimate representatives of the Bosniac politics directed towards the success/failure of the Revision, constitutes yet another example of continuity of the (current) policies and practice of that Court. This is an insult, humiliation, harassment, and repeated additional killing of genocide victims. This is also an insult for and humiliation of Raphael Lemkin and all of his associates, and this is a defeat of all his efforts and activities aimed at protection of genocide victims, based on results of the international community experiences related to the holocaust and genocide in the Second World War and the legacy of civilization. The Convention on prevention and punishment of the crime of genocide, the most important international legal document, adopted with the fundamental objectives to prevent and punish the crime of genocide, to protect genocide victims, to help them see the justice and establish the truth, to allow the surviving genocide victims, at least a minimum, dignified biological and physical survival. Unfortunately, the practice speaks differently. The International Court of Justice policies and practice essentially protect the state (Serbia), internationally responsible for the crime of genocide. In this way, Raphael Lemkin, the Convention on prevention and punishment of the crime of genocide died, and it is buried, and we wish to inform you about this development, devastated by anguish and injustice, since the genocide victims do not have anyone else to contact in this regard! The decision on the death of Convention, just for your information, was made on 9 March 2017 by the International Court of Justice. The International Court of Justice, dear Raphael Lemkin, unfortunately, did not want to accept the reality, for political reasons, that the genocide is, by the definition, the gravest, the most complex, and the most heinous form of crime in the history of mankind, and also one of the clearly most complex social phenomena, projected in times and space as a process, resulting from the (collective) ideology, politics, and practice, with its phases, systemic and planned character, dynamics and intensity, carried out continuously against the unprotected, helpless, innocent, and unarmed victims, selected only because they belong to some, according to the international law, protected group, which is the target of the attack only because of that affiliation, expressed through a series of functionally interconnected different acts, committed by a large number of organized and associated members in the process, characterized by the planning, preparation, organization, and execution, along with the approval, coordination, direct involvement, and control by the highest state authorities, which is also the characteristics of the genocide against Bosniacs in the Republic of Bosnia and Herzegovina at the end of the 20th century. It is clearly the phenomenon produced and supported by a state, the most powerful political subject in the international relations. The International Court of Justice was basically “forced” to takeover from the ICTY the Judgment related to the crimes of genocide against Bosniacs of Bosnia and Herzegovina in the UN Safe Area Srebrenica in July 1995. The Court knowingly “lost” sight of the fact that the genocide is the gravest form of crime against humanity and international law, the gravest form of violation of international humanitarian law, a complete and/or partial destruction of national, ethnic, racial, or religious group as such, the crime of all crimes, the crime which inflicted onto the mankind, Bosnia and Herzegovina included, enormous human losses – civilian victims and extensive material destructions. The genocide against Bosniacs in the Republic of Bosnia and Herzegovina at the end of the 20th century is the crime according to the international law, the crime that does not concern only Bosniacs, genocide victims, but rather the entire mankind. My dear Raphael, you taught us, and we further teach our students conscientiously and responsibly all that we learned and adopted that the genocide scholars, surviving genocide victims, international and national courts, International Court of Justice included, have to speak in the name of genocide victims, in the name of all those who cannot speak, that we have to remind of their suffering and tears, that we have to suppress the fear of oblivion. They have to – it is their human obligation and debt – speak in the name of all the killed innocent genocide victims of the 20th century, unfortunately the century of genocide, including the genocide victims in the Balkans (at the beginning, in the middle, and at the end of the 20th century): Bosniacs, Albanians, Serbs, Jews, and Roma, particularly the genocide victims in the Republic of Bosnia and Herzegovina at the end of that century – Bosniacs, members of a national, ethnic, and religious groups as such. One can speak about the genocide victims only with sublimity, truthfully, dignity, and only based on relevant documentation. This is the duty of all of us, our common responsibility, as well as civilizational and cultural need towards the innocently killed human beings – civilians and civilian population, in order to save mankind and civilization, preserve the highest human values, human freedoms, human rights and lives of all, especially small, weak, and helpless human groups, communities, and nations. As to the evidence on genocide of human beings – homo sapiens, regardless of national, ethnic, racial, religious, ideological, or political background and determination, has to react, has to actively act, cannot conceal facts, cannot be neutral, cannot be indifferent, cannot keep quiet, cannot lie, manipulate, fabricate…, cannot minimize, challenge, or deny genocide. Unfortunately, the form – procedural matter (status of legal representative) is more important for the International Court of Justice than the substance – than the crime of genocide and genocide victims, right, justice, fairness, truth, future, and survival of universal human and social values of the contemporary civilization and culture on the planet Earth. After all, the question is if the (surviving) genocide victims, psychologically hurt once again (second time) by the International Court of Justice, can survive? By dismissing the Application for Revision, the Court concomitantly sent the messages of various contents, forms, intensity, and direction to the executioners of genocide and genocide victims. Executioners of genocide were by such a decision rewarded, encouraged, inspired, stimulated for another planning, preparation, organization, and execution of the crime of genocide, fully aware of the fact that they would not be punished, and that one can profit the best on the crime of genocide – be rewarded. Genocide victims are additionally, completely and definitely humiliated. They are not treated as human and reasonable beings, with human dignity, right to life and other rights and human freedoms. After this, they are subjected to all forms of negative impacts and their targeting is reinstated – they are the target, which has to be eliminated. The International Court of Justice message is not only the message for executioners of the crime of genocide and genocide victims, but it is also the message to all human beings, all societies and states, small and big, powerful and helpless that the genocide, the gravest from of crime against humanity and international law is always possible and feasible. One of the questions that follow is the question of truth, relation between truth and justice. Is there are one of more truths, and what would be their relation, are there any, especially logical and meaningful connections and relations – those are only some of the questions related to the truth, the truthful knowledge about the crime of genocide committed against Bosniacs, members of national, ethnic, and religious group as such, in the Republic of Bosnia and Herzegovina at the end of the 20th century. One can speak about scientific and other findings – professional and experiential, and their truthfulness at the present level of development of human society, science, and profession, and relation between truth and knowledge. Truthfulness is related to procedures, rules, and principles, that is methods used to get findings and subjects of findings. Having this in mind, the science and the method of work differentiate scientific and professional studies, prepared by certain subjects with certain objectives and purposes, needs, and possibilities surrounding the application of gained knowledge. These assumptions serve as the basis for differentiation of the truthfulness of findings, or better to say the truth in a broader sense, which correlates with the types of studies and subjects of research, which we mark and name as judicial, scientific, political or human truth. Genocide victims, particularly the scholars are primarily and exclusively interested in SCIENTIFIC TRUTH that can be obtained by way of certain scientific procedure, along with strict application of logical and methodological rules, valid and reliable project of scientific study and scientific methods, which secure objective and truthful findings. Unfortunately, International Court of Justice did not secure verification of truth to the genocide victims, and they are left now only with one option, which is to get to the truth with the help of science, scientific studies, competent, conscientious, responsible and moral scholars. S. Čekić, PRAKSA MEĐUNARODNOG SUDA PRAVDE – PRAVNA ILI POLITIČKA? 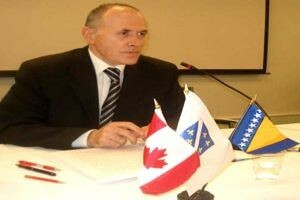 – PREDMET: BOSNA I HERCEGOVINA PROTIV SRBIJE I CRNE GORE, ⁂ GENOCID U BOSNI I HERCEGOVINI: POSLJEDICE PRESUDE MEĐUNARODNOG SUDA PRAVDE /Practice of the ICJ – Legal or Political? – Case: Bosnia and Herzegovina versus Serbia and Montenegro – Genocide in Bosnia and Herzegovina: Consequences of the ICJ Judgment/, Conference proceedings from the International Scientific Conference held on 10-11 July 2009 in Potočari (Srebrenica), Institute for the Research of Crimes against Humanity and International Law of the Sarajevo University, Sarajevo, 2009, pp. 55-137.